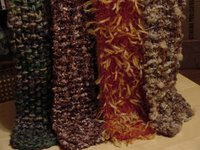 Cooking without a Net: Wanna Buy a Scarf? 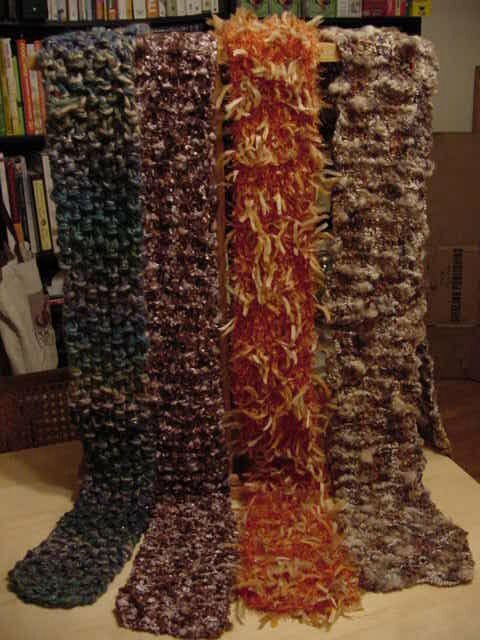 These are some of the scarves I'm going to sell at a craft fair. I told Mary I'd post them so she can grab them for a flier. I hope this works. I'm also sending some to a friend in Austin who's going to sell them at a craft fair where she'll be selling her jewelry. 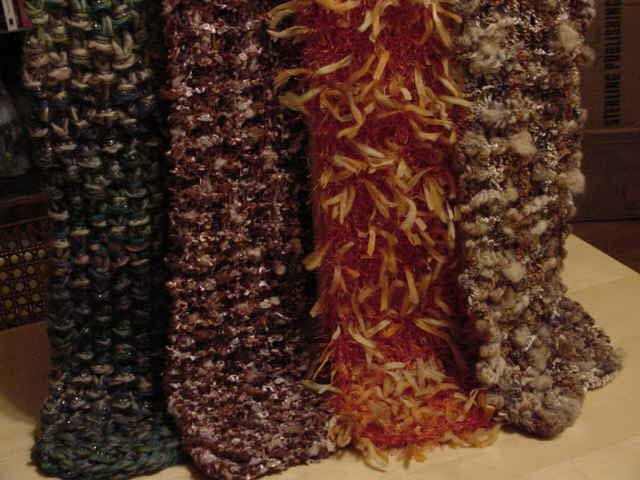 I sent lighter ones there--I hope they sell. 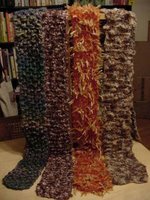 I mostly worked on the scarves over the weekend, so I don't have much to show on WIPs. I should be able to work on Mavis's collar tonight--I'm about halfway through the ten inches. What Sorte of Black Magick Be This?